In order for many disabled people to obtain health insurance and other assistance, they must qualify for Medi-Cal and other government programs based on financial need. I help our clients to legally protect assets so as to retain or obtain eligibility for these sometimes life-giving benefits. This planning also applies to my clients who wish to provide for a disabled heir in a will or a trust. In order for many disabled people to obtain health insurance and other assistance, they must qualify for Medi-Cal and other government programs based on financial need. We help our clients to legally protect assets so as to retain or obtain eligibility for these sometimes life-giving benefits. This planning also applies to my clients who wish to provide for a disabled heir in a will or a trust.Special Needs Trusts allow people to keep the benefit of their money and their public benefits. For example, having unprotected money can cause people to lose their Medicaid, SSI and any other public benefits which depend upon financial need. Special Needs Trusts provide a state and federally approved way for individuals on need-based public assistance to supplement their benefits without disqualifying themselves from benefit eligibility. Often, when a person is receiving Medi-Cal, SSI, Food Stamps, housing assistance or other need-based government benefits, these benefits, particularly Medicaid health insurance, are irreplaceable or have an incalculable replacement value. Individuals who are receiving Medi-Cal may not qualify for any other health insurance by reason of their disabilities. Yet, if the person comes into money (through a settlement, inheritance, winning the lottery, or otherwise) their newfound assets can cause them to lose their benefits because they would no longer meet the financial tests for eligibility. In order to qualify for Medi-Cal and other need-based government benefits, the individuals must have under a certain amount of assets and be earning below a certain income. Coming into other assets may therefore substantially harm the person by causing them to lose their health insurance or other need-based government benefits. Special needs trusts can help address this problem. Some individuals may not be on need-based government benefits at present but may require those benefits in the future. Often the person is not receiving the benefits because they simply did not apply or because the government improperly denied eligibility. Other times, the person may not now qualify but, due to the nature of the injuries and the prognosis for future care, the person may outlive their money and may require need-based benefits in the future. Special needs trusts can address this situation, as well. Fortunately, there are sound legal methods to protect the proceeds of civil actions, inheritances, and other assets of disabled people. The goal of all special needs planning is to provide a safe harbor for the disabled individual’s money without jeopardizing the person’s need-based government benefits. 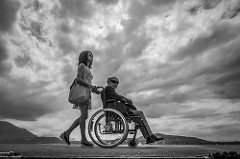 There are certain trusts and transactions that the government permits (or has been forced to permit) to allow the disabled person to qualify or retain eligibility for need-based benefits while keeping the benefit of their assets. Contact me today by calling my office at (805) 244-5291 or click the “book a consultation” box below to schedule a time. I look forward to chatting with you abou your needs.